“Something” is the first single off our sophomore album, “Semaphore”–out this April. We are part of the first spatial audio/augmented reality album, Year One, on iOS11. 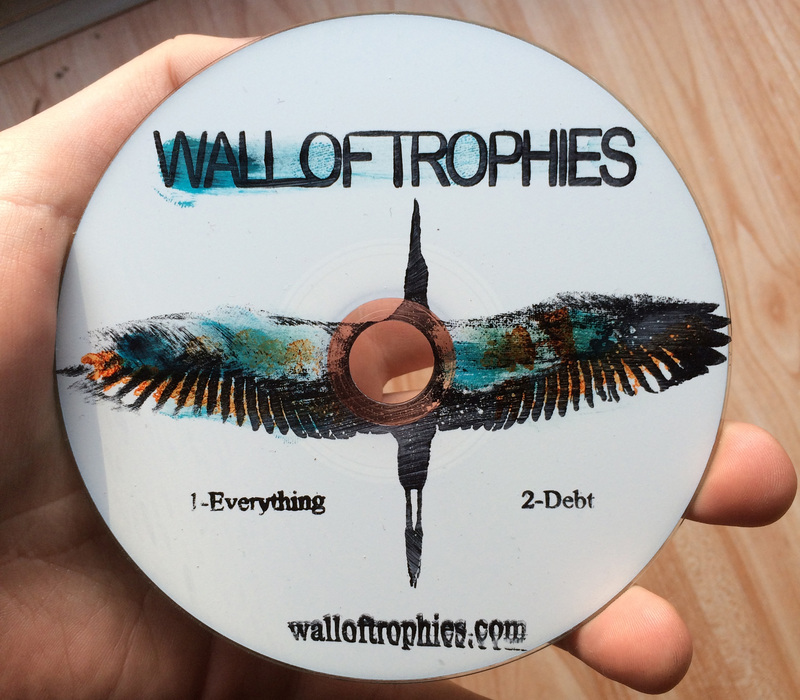 It features two songs by Wall of Trophies and two songs by D.C. duo TCW. Grab it now in the App Store–it’s free. 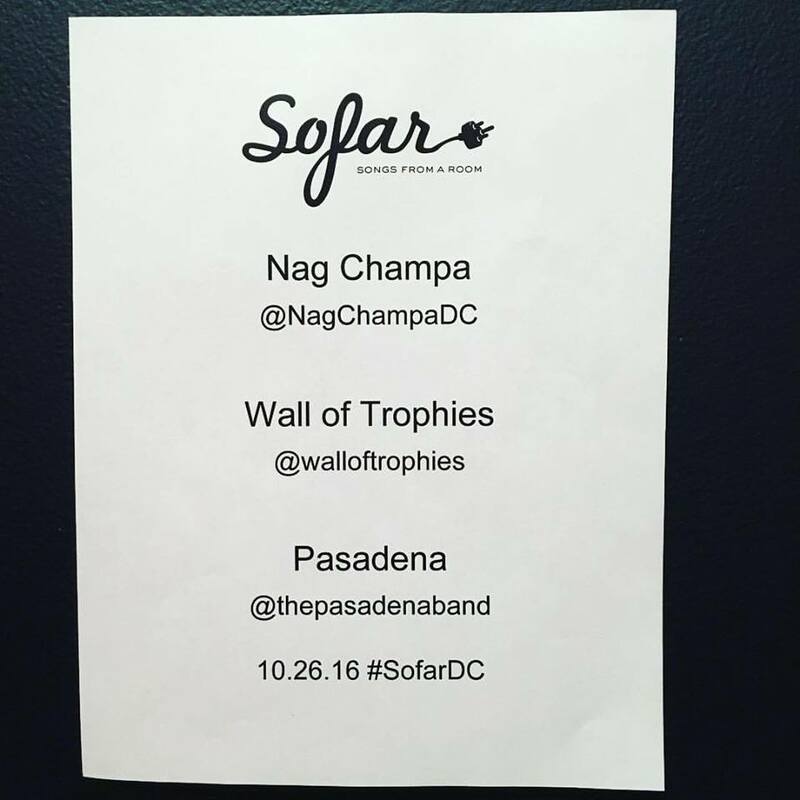 We played our first show this week via the incredible Sofar Sounds. Sofar does intimate, stripped back shows that cut out the talking and distractions to focus purely on the music. It was a fantastic experience and we can’t recommend it enough. 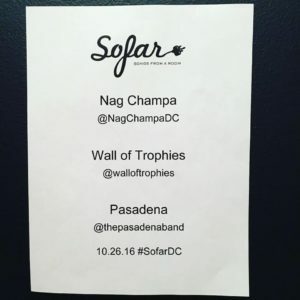 We had a blast playing alongside Pasadena and Nag Champa to a packed room. We remixed our friends Astra Via and added some Wall of Trophies on top. Our debut album Heliograph drops 29 January and will include 11 songs. The heliograph is an old-school signaling device that could transmit messages over distance by using the sunlight. 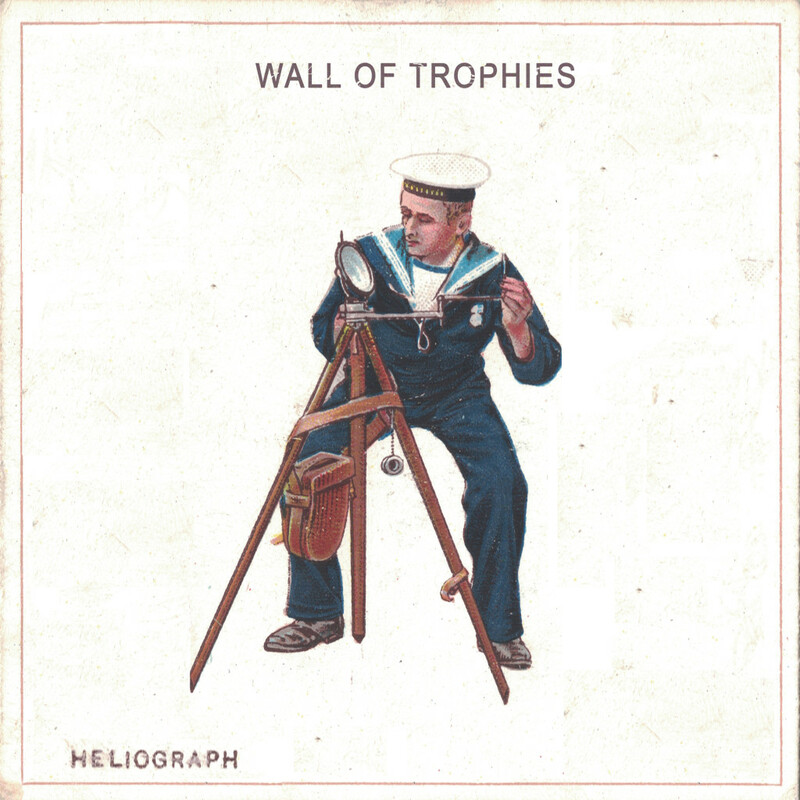 The album art (front, back, CD itself) is all adapted from a line of cigarette cards from 1911, which detail how to properly use the heliograph and other signaling devices. We got 40 of these cards (all different)–and they’ll be included in the first 40 physical CDs we sell. It will also be available on iTunes, Spotify, and anywhere else you get your digital fix. It’s finally time to share… we’re finishing burning and stamping 300 CDs and cases with our first two songs. That’s 600 black stamps, about 3,000 blue stamps, about 3,000 orange stamps, and a couple serious hand/elbow cramps. If you already have one, please feel free to share. If not, you can find them in a few of our favorite places around DC or at one of Brittany’s solo shows. Debut album "Heliograph" released January 29, 2016. Out now on iTunes, Apple Music, Amazon, Spotify, BandCamp, and more. © 2019 Wall of Trophies. All rights reserved.